Each week, as a challenge closes, we introduce a new challenge to you. We will showcase three challenge entries that spoke to the challenge the most... and they will receive our Top 3 blog badge. In no particular order, here's our Top 3 ...ladies, your Top3 badge can be collected from our sidebar... congratulations! And we extend congratulations to #1 DEBBIE , our prize winner! DEBBIE, we would love to see our Winner's badge on your blog, (you can collect it from our sidebar) and if you contact me (Pauline) at the yahoo email address on the right, I will arrange for your prize to be delivered to you! 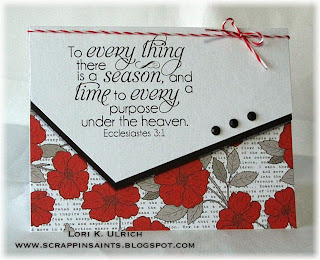 Thank you Eureka Stamps for your sponsorship in our Inspired by Song Challenge! We are so happy to have Milk Coffee Stamps joining us with their sponsorship for you! Our prize winner will receive their choice of FIVE Milk Coffee images! Milk Coffee consists of two artists who love to draw cute illustrations! 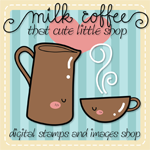 They offer cute, quality digital stamps, which are perfect to papercraft... cards, scrapbooks, or anything we can do with printed digital images They make cute images for cute creations! "So do not worry about today. Let tomorrow worry about itself. Living faithfully is a large enough task for today." Now... cast your eyes onto the fabulous images showcased by our design team for the AUTUMN COLOURS CHALLENGE Challenge! Tracey using "Sonja Blowing Dandelion"
Zella using "Soya is Taking a Nap"
We look forward to seeing your creations using AUTUMN COLOURS , shared with us here. Should our Linky Tool fail us, share your creation through the comments section, with a direct link to your blog post. Have a blessed week! 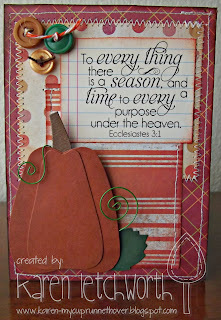 This is a lovely challenge blog I love to participate :) It was fun doing a card for autumn. Thanks for choosing my card in the previous challenge.